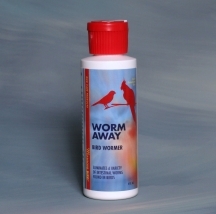 WORM AWAY eliminates a variety of intestinal worms found in birds. SHAKE WELL BEFORE USE - WORM AWAY successfully eliminates thread worms, tape worms, hook worms, caecal worms, gizzard worms, round worms, gape worms and other intestinal worms found in birds. Add ½ teaspoon per 5 fl.oz of clean drinking water OR one drop per 6 oz. of body weight on fruits, vegetables, soaked seed, or softfood OR one drop per 6 oz. of body weight administered directly to the crop. WORM AWAY is a single dose treatment but may be repeated if condition does not improve. 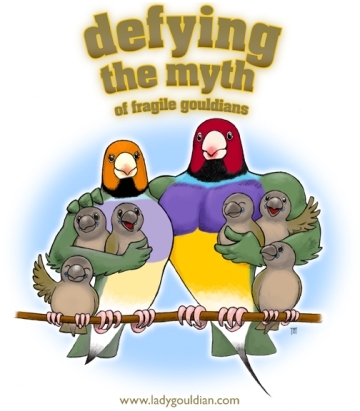 If bird does not respond to treatment or bird’s condition worsens, consult a veterinarian. Safe for young and adult birds. Keep container closed before and after use. Store in a cool, dry place. Keep out of reach of children.. Not for use in birds whose meat or eggs are intended for human consumption.